Chapter Wise NCERT Solutions for Class 10 Social Science SST Pdf free download of History : India and the Contemporary World – II, Geography : Contemporary India – II, Civics (Political Science) : Democratic Politics – II, Economics : Understanding Economic Development – II are part of NCERT Solutions for Class 10. 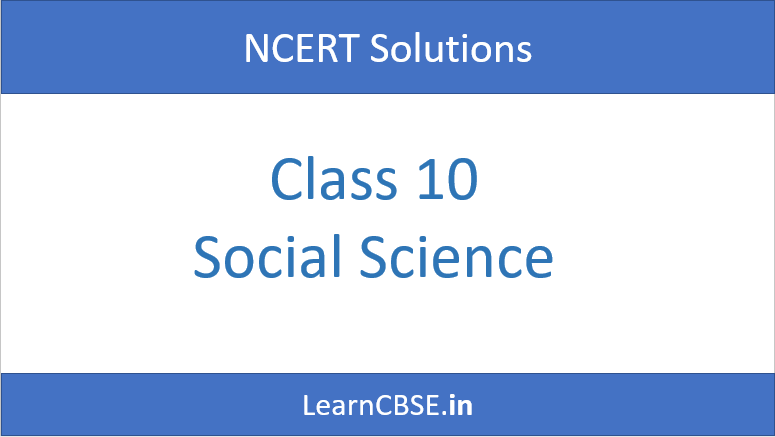 Here we have given CBSE Class 10 Social Science NCERT Solutions of History, Geography, Civics, Economics. Students can also Check Social Science Class 10 Map Pointing and Extra Questions for Class 10 Social Science and CBSE Class 10 Social Science Notes here. We hope the given Chapter Wise NCERT Solutions for Class 10 Social Science SST Pdf free download of History : India and the Contemporary World – II, Geography : Contemporary India – II, Civics (Political Science) : Democratic Politics – II, Economics : Understanding Economic Development – II will help you. If you have any query regarding CBSE Class 10 Social Science NCERT Solutions of History, Geography, Civics, Economics, drop a comment below and we will get back to you at the earliest.